We are conveniently located on the corner of Bancroft Circle and Armand Street. Our address is: 4 Bancroft Circle, Monroe, LA 71201. Our regular business hours are Monday through Friday 7:30AM-5:30PM. Please give us a call if you have any questions (318)-235-6050. In an emergency, call Animal Emergency Clinic of NE LA (318) 410-0555. They are located at 2005 N 7th St, West Monroe, LA 71291. 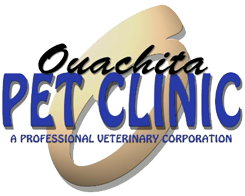 Please call (318) 325-6050 to book a convenient appointment time, or use our convenient app PetDesk to request an appointment.